I spend a ridiculous amount of time exercising, so I am always on the lookout for the perfect pair of sports headphones. However, I have never been too fond of true wireless headphones for any exercise, as they always run the risk of falling out. This may only be a slight annoyance in the gym, but it is problematic mid run even worse if you are out on a bike. These are currently priced at £129.99 direct from Plantronics and for some reason more expensive on Amazon at £177. These come packaged in their own charge case, and I would say that these look and feel better than any other wire-free alternative I have used. The case has a pleasant soft-touch feel to it and it protects you’re the headphones well, as with most earphones like this it also charges them when not in use. The company claims that these will last 5 hours and the case will provide an additional 10 hours of charging. through the USB socket is what kills most of my earphones. It is worth noting that these have a non-standard design. At first, I thought it was a major oversight, but it is deliberate. The packaging doesn’t include replaceable ear tips which in turn means that these don’t fit perfectly in your ear, they just kind of sit there. While this has various negative effects, it is designed to allow ambient noise in, allowing you to hear what is around you. So these are particularly suited for outdoor use, but not as good for gym use (assuming they play music), or office use due to sound leakage. is another area that Bluetooth 5 has improved on. should go further into your ear. is a bit more balanced than many other earphones with a sealed design. Even though they are not the bassiest I found these to have an excellent sound quality, they might not compete with the likes of the 1MORE triple driver, but for a sports orientated earphone they sound great. In particular, they sound better than the bone conduction used by Aftershokz, though it is worth noting that the Aftershokz offer superior ambient noise awareness and are the only brand allowed by the athletics association. Mids and highs are vibrant and the overall sound quality is superior than most earphones. are loud enough. I had them near maximum volume for my runs, and this was more than adequate. However, due to noise leakage I found that I had to use them at max volume in the gym. including rowing and hill sprints, plus two 13+ mile runs, and I never had an issue with the fit. I have not tested the battery to its full ability, but I found that when putting them on and receiving a high charge notification they would last about 2 hours before being told I had a low charge. So I would say the five hour use time is a little optimistic, this was possibly due to the high volume I have them at, lower volumes should last longer. It does mean that these are not the best solution for full marathons (or half for many people), nor long sportive bike rides. few weeks so time will tell in my case. use and for regular length runs/rides. 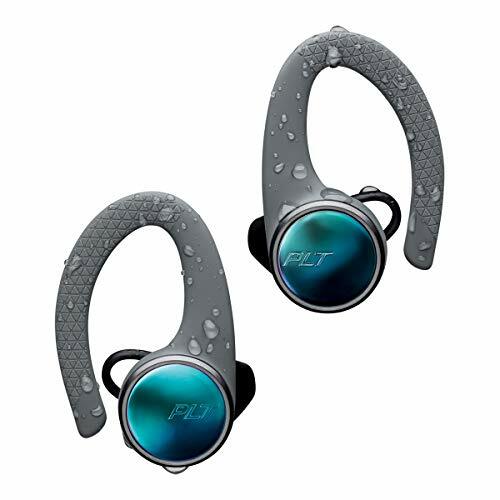 For me, these have now been promoted for my regular outdoor runs, then I use the Aftershokz for bike rides as they offer better ambient noise awareness and superior battery (at the cost of sound quality), and then cheap MPOW ones for when I am at the gym. Perfect for most normal outdoor runs and short bike rides – they offer a great balance of sound quality and situational awareness through ambient noise. The short battery life and sound leakage both in and out will limit their appeal elsewhere.